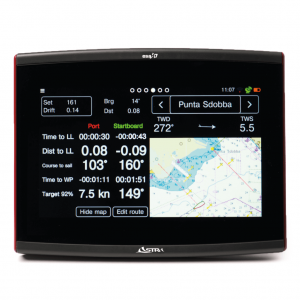 esa d4 is a 4.3 TFT colour optical bonded multifunction display, ideal for mounting everywhere onboard and have all the boat’s information under direct control. 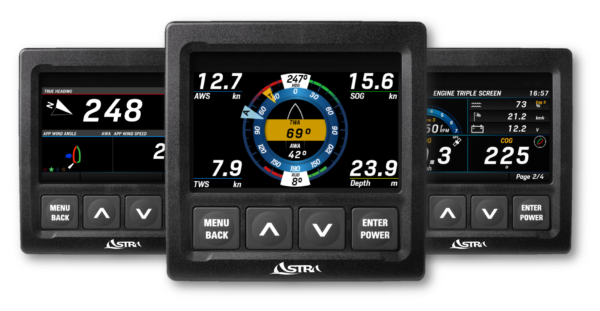 Thanks to its compatibility with Nmea2000 and j939 it’s able to show a complete array of onboard data from the network and the sensors available on the boat, from wind to engine data too! 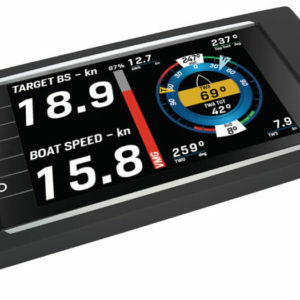 Display: TFT Full 24 bit / 16 mio. colors 480 x 272 (WQVGA) optically bonded display with transmissive layer technology for perfect readability even in direct sunlight mineral glass. User can customize up to 40 different data pages with single, dual, triple or quad grid layouts, for a complete freedom and versatility. Thanks to its multi-network capability all signals from onboard sensors (like battery voltage, engine data, etc), are available directly on the screen.